- Drinkable maple vanilla goat milk yogurt from Byler Goat Dairy: I’m one of those people who will try just about anything once, and while this may sound odd to some people, this drinkable yogurt is quite tasty and refreshing served ice-cold. 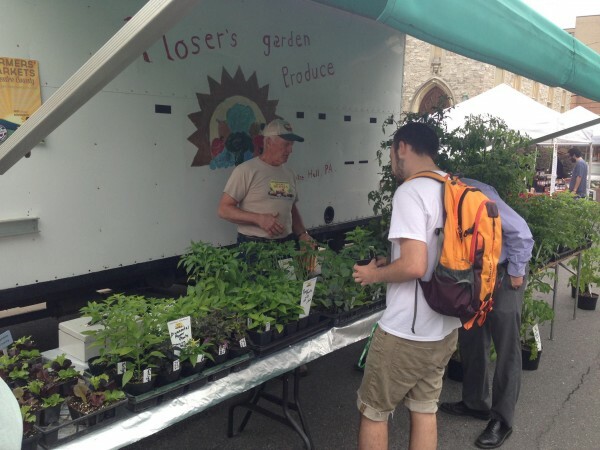 Example of where to find: Boalsburg Farmers Market. - Tacos from El Gringo Taco Truck: Ben Stanley knows Mexican food, and his taco truck has a faithful corps of ardent followers. With his rotating menu of tacos and tamales that feature in-season local ingredients, you never know quite what you are going to get until you arrive at the truck, but I’ve never had a clunker from El Gringo. Be sure to try the hibiscus drink, which is similar to cranberry juice. Example of where to find: North Atherton Farmers Market.